HJ Lim is a pianist of extraordinary imagination and vision; an artist who has won praise for refreshing and rediscovering the pinnacles of the piano repertoire, for the intellectual depths of her musical insight, but above all as an artist who balances all of these talents with an undeniable flair and virtuosity. She created a sensation in the music world when, in 2010, she performed the complete Beethoven sonatas over eight consecutive days to sell out audiences in Paris. These extraordinary concerts were to be the catalyst to her ongoing success: when she recorded the complete cycle for EMI Classics the following year, she became not only the youngest interpreter to ever record these masterpieces, but the first and only classical pianist to debut at number one on the Billboard classical chart and on the US, Netherlands and Canadian iTunes chart. 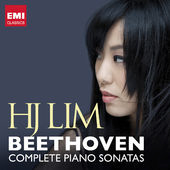 Since 2008, HJ Lim proposes complete cycles in recital that allows her to explore deeply each composer, such as all preludes, scherzos, ballades, waltzes of Chopin or 12 preludes of Debussy, as well as all Rachmaninov's Etudes-Tableaux along with Chopin 24 Etudes that she performed at the Stadtcasino of Basel, the critic described the recital as "an incomparably fiery pianistic space, super-virtuoso sound images, spectacular and extremely bewitching, and especially they were interpreted like the monumental pianistic dramas (…) an incredible enchantment of possibilities of pianistic expressions, subtle and grandiose, magically performed by the phenomenal virtuoso." HJ Lim began her musical studies at the age of three. At the age of twelve she made the decision, of her own accord, to leave her native South Korea and move to France. Here she immersed herself in the musical world of the composers who shaped her early years. After studying under Marc Hoppeler, she graduated from the Conservatoire National Région de Rouen with First Prize, and went on to become the youngest person to obtain the Diplôme d’Etudes Musicales Complètes of Normandy - aged fifteen. 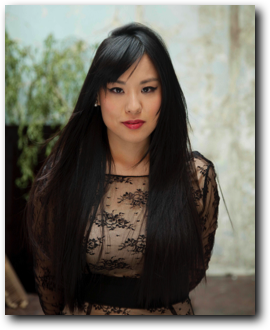 In 2006, HJ Lim graduated from studying under Henri Barda at the Conservatoire National Supérieur de Musique de Paris, again with First Prize. Recent concerto performances included a tour with NDR Sinfonieorchester of Hamburg at Teatro Colon in Buenos Aires, in Sala Sao Paulo in Brazil, et 4 Rachmaninov concertos with Barcelona Symphony and Pablo Gonzalez in three days, as well as concertos n.3 of Prokofiev, N.23 of Mozart, N.3 d of Beethoven, N.1 of Liszt and N.1 of Mendelssohn with Seattle Symphony, Philadelphia Chamber Orchestra, KBS Symphony, Moscow Virtuosi, Bilkent Symphony, Welsh National Opera, Prime Philharmonic, concerto N.1 of Tchaikovsky with Moscow Radio Symphony Orchestra at Zurich Tonhalle, Ravel concerto in G with München Symphoniker at Herkulessaal and Prinzregententheater. She also performed at Royal Albert Hall with Royal Scottish National Orchestra (Classic FM Live), le Royal Liverpool Philharmonic, Hofer Symphoniker and Stavanger Symphony. In 2013, she made Asian tour, in Korea at Seoul Arts Center, in Tokyo where she renewed the complete Beethoven Sonatas cycle in eight concerts at Asahi Hall, each concert has been broadcasted live on Live stream. Record Geijutsu wrote of the cycle, “ HJ Lim accomplished this most impossible of challenges...Her gift comes from the heavens”. In recital, HJ Lim performed at Théâtre du Palais Royal in Paris, Théâtre des Bouffes du Nord, London Wigmore Hall, Sala Verdi in Milan, Victoria Hall in Geneva Geneva and the Stadtcasino, Her festival appearances include Festspiele Mecklenburg-Vorpommern, Festival de Musique de Menton, Gilmore International Keyboard Festival, Beethoven Festival Chicago and the Annecy Classical Festival. She will perform at Suntory Hall in Tokyo with Tokyo Metropolitan Symphony and Yomiuri Nippon Symphony and at Festival International Piano de Biarritz. 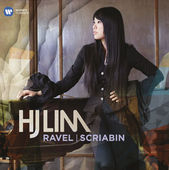 HJ Lim records exclusively with EMI-Warner Classics and her second disc is a solo recording of works by Ravel and Scriabin, released in 2014. "This is the kind of album that will save the classical music recording industry. It’s the kind of album I want to buy 20 of and hand out in the street to strangers. It’s the kind of album that, if you’ve never heard a Beethoven sonata before will convert you for life and ruin every other performance you’ll hear."